DEFENDER2.NET - View topic - Defender 110 Camping Trip - loading advice please? 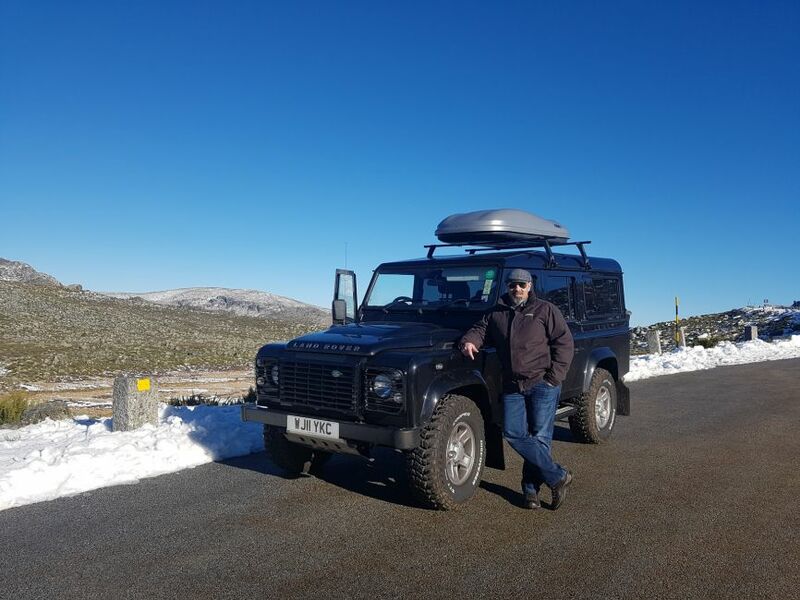 Home > Camping, Caravanning and Holidays > Defender 110 Camping Trip - loading advice please? We go camping 3 or 4 times a year in this country and we have also been to Italy near Venice. And this year we are planning on going again to Italy. When we go to Portugal for holiday. If it is packed well ( my wife packs ours ) you can pack a lot in it. Fortunately I now have a full-length Hannibal on my 110. However, before that I had a perfectly good cheaper solution to carrying all the "soft" items (clothes, sleeping bags, pillows, shoes) indeed anything not too heavy. My set up was simply, 3 Mambo roof bars and a sheet of marine ply. You can drill the marine ply in order to make lashing points. All the equipment was loaded into large weather proof bags like the Ortlieb Rack Pack (the bigger the better), something like this https://www.tamarackoutdoors.co.uk/PBSCProduct.asp?ItmID=22715346\ A couple of ratchet straps and a handful of bungee cords and you are sorted. You would be amazed how much space all these "soft" items take up. This left me with plenty of space in the rear for the heavier and essential items. This setup lasted me years. 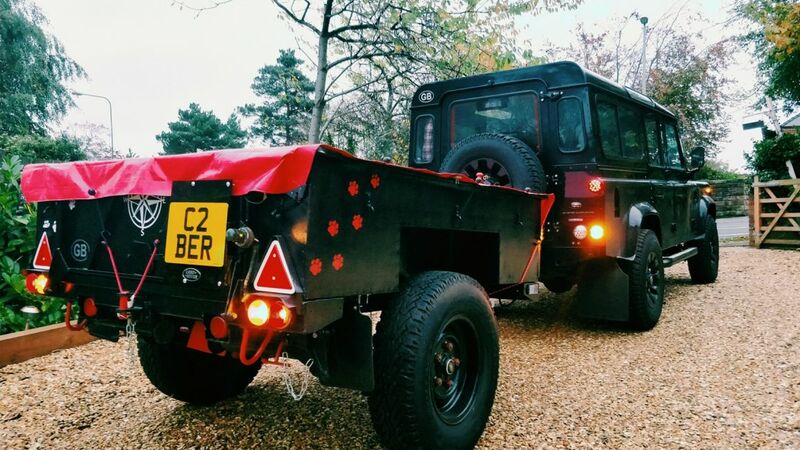 Some great pics here of your fully loaded Defenders. How do people feel about comfort and fuel consumption on these long trips? We clocked up over 2000 miles in France this summer in another car, so I'm understandably a bit nervous of Defender fuel costs, and people keep warning me about the comfort issue! Thanks. Comfort is subjective isn't it? Fuel consumption not so much. Fuel consumption. I reckon if I 'dawdle' - sitting ca. 55-60mp - then I'm getting 30mph from my 300Tdi, maybe a fraction more if on a motorway with easier curves and gradients; less on 'twisty/windy' roads where the engine has to do a bit more work, but still in the 28-30mpg mark. I've no doubt I'd get better MPG from another car - but I'd have to buy it - and I figure the difference in better fuel costs would be more than outweighed by the purchase costs and depreciation. I'm pretty sure my LR has stopped depreciating (financially!) long ago. Comfort - for me, I don't need electric windows, a silent cabin, screens in the head-rests. I don't seem to get LR driver's elbow.... In fact I much prefer the more upright seating position to anything modern where your knees sit above your hips. The car does all I need really. If I can hold a reasonable conversation, while driving down the road, that's quiet enough. Then on the 'plus' side, the visibility you get from a Defender is so much better than normal cars, and finally I think there's a psychological thing that kicks in. 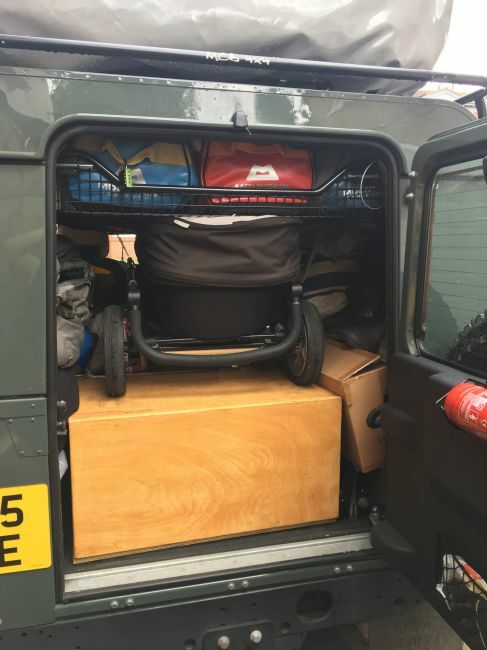 While the LR is my daily car, it's the family 'holiday car' - when we get in with all the gear, we all feel a sense of occasion! Fuel consumption is easy, it is what it is - good maintenance and a sensible right foot count for a bit. You can calculate the extra cost easily enough and take a view. Comfort - you have to change the mindset a bit. We have taken the 110 to France a couple of times, once to Brittany and once to the Alps. You take your time, you don't blast along at 80, you stop more, see more and therefore plan to stop more and see more. It is a different type of trip. I'm 6ft 2 and don't have an issue with comfort, similar to quite a few folk I find my back much prefers the driving position. So may have to fit this. It seems to drive the same empty or full just likes being used. If you are off to France look at getting the french toll pass makes it great at the toll gates using the T30 lanes as others que. Yes. It consumes fuel. Sometimes rapidly.